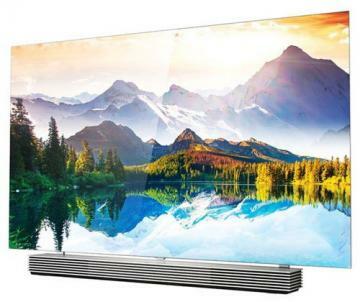 Most TVs on the market today are LED TVs - which should have been called LED-backlit LCDs, as the LEDs are only used as the backlight for these TVs. OLED is the next-gen display technology with improved performance and design. OLED TVs are slowly gaining market share, though high costs and limited production capacity limit adoption. An OLED (Organic Light Emitting Diodes) panel is made many pixels, each one an OLED device that emits light on its own (in fact each pixel is made from 3 different OLEDs, red, green and blue). OLEDs are truly emissive devices. A LED TV is a confusing term - as it should actually be called LED-backlit LCD. This is still LCD technology, but instead of the fluorescent (CCFL) lamps, an LED TV uses LED lighting for the white backlighting. While LED LCD TVs look better than CCFL LCDs, they are still no match for OLED panels, and they are not emissive displays. Much higher contrast - in OLEDs we have true blacks as when a pixel is off it does not emit any light. In LCDs, the backlighting is always on and so true blacks are impossible to achieve. Even with high-end local dimming, the contrast of LCDs is simply no match for OLEDs. Power consumption: OLEDs only consume light on lit pixels - as opposed to LCDs who always need to use the backlighting. The power consumption of OLEDs depends on the image shown, but in most cases OLEDs will be more efficient than LCDS. Design freedom - the simple design of OLEDs enables next-generation flexible, bendable, foldable and even rollable displays. 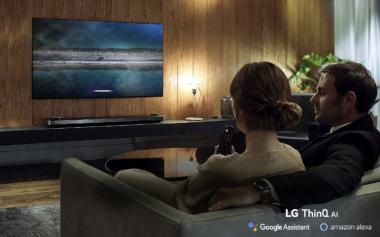 LG's amazing 65" rollable TV unveiled in 2019 would be very difficult to create (if not impossible!) using an LCD panel. Of course OLED technology is not perfect - two challenges are the relatively limited lifetime (and thus burn-in issues) and the high production costs which are mostly due to the low production volume currently in place. What's the story about QD-LEDs? The latest premium LCDs use nano-particles called quantum-dots to enhance the efficiency and color gamut. These displays are still LCDs, but they use a blue backlight that is converted to white light using the QDs. So today's QD-LEDs are really QD-enhanced LED-backlit LCDs. In the future, Quantum Dots will be used to create emissive displays - in which the QDs will replace the OLED materials in similar designs. This may have some advantages over OLEDs, but the technology is not ready for commercialization yet. Read here for a a comparison of OLED and QLED technology. LG's 2019 OLED TV line includes the top of the range Z9 OLED TV based on LGD's latest large 8K 88" OLED panel. There's a new wallpaper model, the OLED W9, the midrange OLED E9 and the new OLED C9 which is LG's entry level OLED TV model. Later in 2019 LG will also launch the world's first rollable OLED device - a TV that rolls into its base - the 65" Signature OLED TV R! In early 2019 Sony also launched two new OLED TVs, and fellow Japanese TV maker Panasonic has unveiled its flagship 2019 OLED TV, the reference-quality GZ2000.